What a little poser! 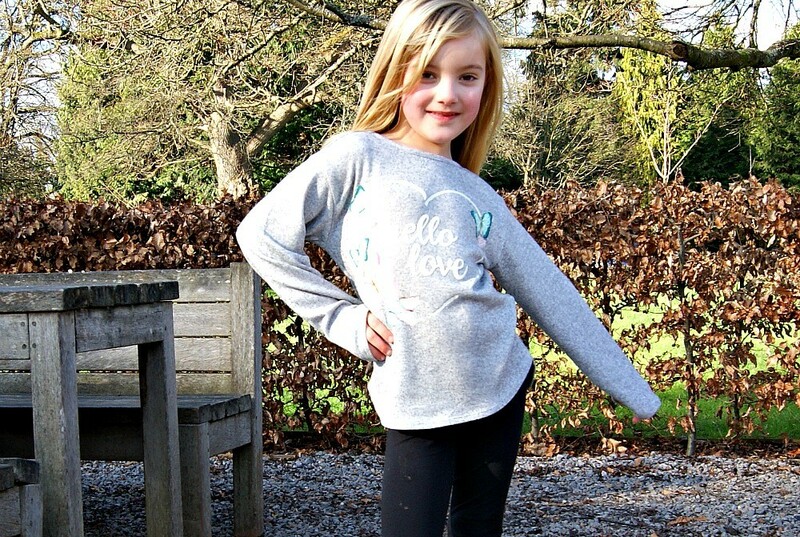 Is it just my little five year old who loves posing in all these wonderful ways!? Sophia is growing up so fast and school has definitely brought it all home for me. 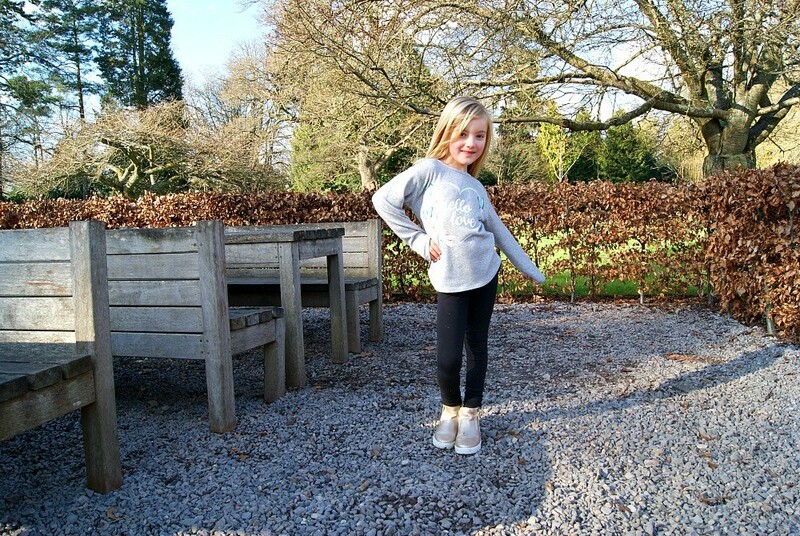 During half term I took her for a quick trip to the shops to get her some leggings as she is getting so much taller. She doesn’t enjoy shopping all and she doesn’t like me picking her clothes either. But somehow we made this trip work. As much as I would love her to wear what I like I love that she has the independence to choose her own clothes. It is something she has always insisted on. I remember when she was three, her Uncle had bought her a Spanish dancer dress back from his holiday and she loved it. It was red with black polka dots all over and black fringing on the sleeves and the ends of the dress. It definitely was a statement piece. She wore it always and one day when I needed to go to town to get a couple of bits she wanted to wear it. I really didn’t want her to at the time and no amount of coaxing worked. So, she wore it and I am so glad I let her because I wont ever forget that day. Not ever. It was the day I let her take over. I let her decide what she wanted to put on her body. Like I said, it was quite a pivotal moment for both of us. I was ready to be a new mum, the mum who let her be her. It is not easy when that comes around with your first. Its sort of a revelation, a revelation that your little girl (in my case) was her own person no matter her age or size she has a mind and a preference just like me. And for me, I wanted to help her nurture that. And so here we are. Fast forward to now, she is five, here she is in all her little (but big) five year old glory. Head to toe dressed by herself. I think she looks quite lovely. She also chose these gold shoes which I love. I think she looks so cute. The little jumper is also so lovely I love greys and it has flowers on it too. She copies me and I am quite unadventurous with my clothes in terms of colour. I like black white and grey. I love her wearing colour but she is not always so willing. At least this lovely outfit of hers has some colour to it. She already has an ‘obsession’ with black leggings! She is really tall and has such long legs that all the leggings from Next come up short on her so our favourite place to buy her leggings is from H&M, their leggings fit her long legs perfectly. Sophia would probably shop anywhere I don’t think she yet has a preference as to where to get her clothes from. We don’t go shopping often but I would love for her to try some Little Bird by Jools items. I do like shopping in H&M for her it is one of our favourites, as well as Zara Kids, and Next. I love Joules clothing too. Awww! Look at that pose! Haha 🙂 I love seeing children grow into individuals and it’s nice that you do let her choose what to wear.